Below are the Announcements Releases of 2017. OTHERS UMW Oil & Gas Corporation Berhad (Company No. 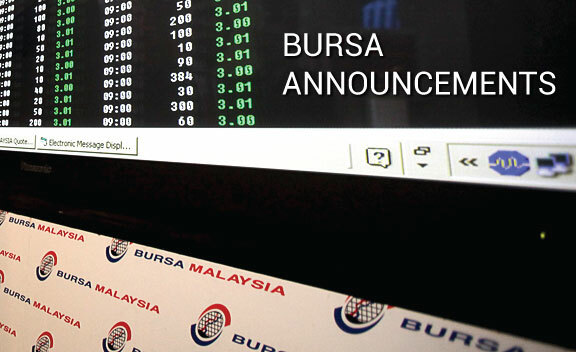 878786-H) - Syndicated facilities of USD550,000,000 arranged by (a) Maybank Investment Bank Berhad as the sole coordinating arranger and bookrunner; and (b) Affin Hwang Investment Bank Berhad, CIMB Islamic Bank Berhad and Maybank Investment Bank Berhad as the mandated lead arrangers.